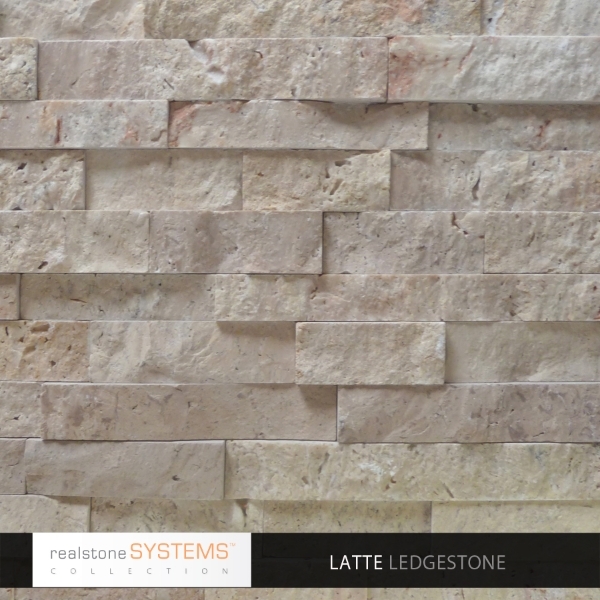 The Realstone Systems Collection is an exclusive sampling of some of the most beautiful natural stone in the world with color and pattern combinations only available from Realstone Systems. 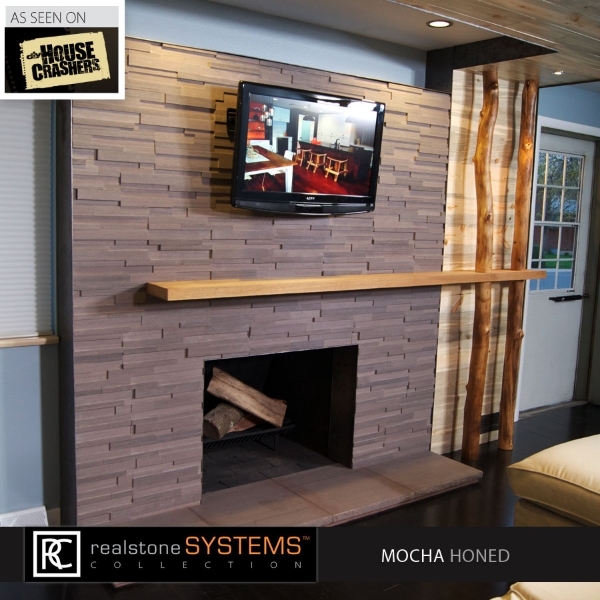 Each piece is hand made to the exacting standards and attention to detail, which Realstone is known for. 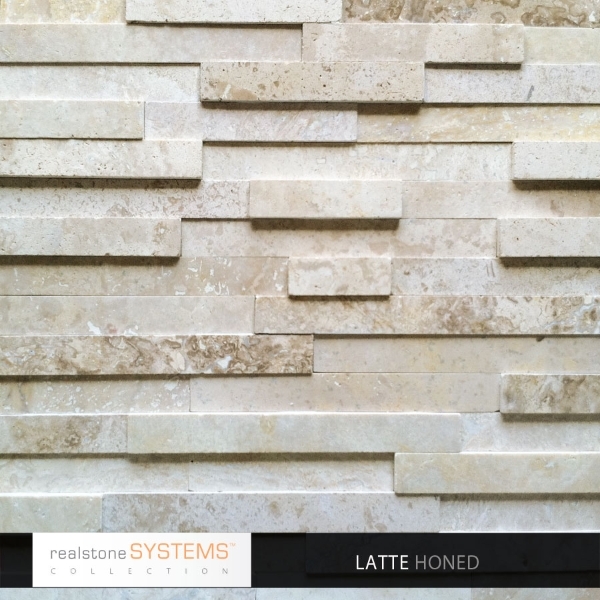 The exclusive new line of luxury thin stone veneer panels, corners, ends, hearths and tiles is available in travertine, sandstone and limestone. The five colors of the Collection reflect a contemporary esthetic of cool grey tones, neutral creams and muted browns. 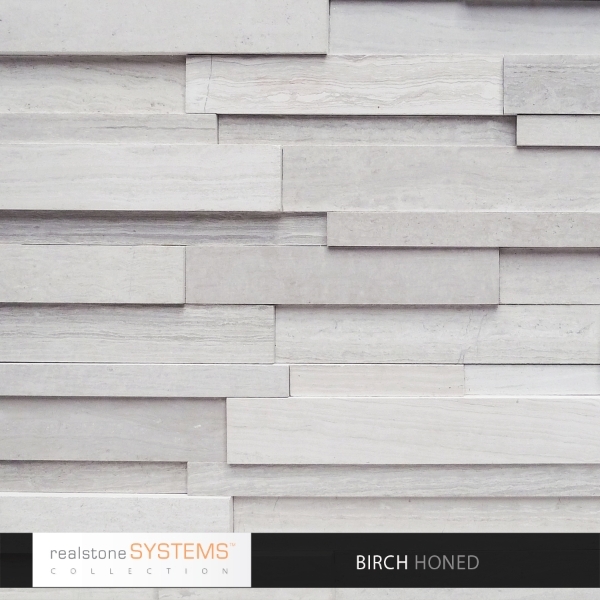 Birch is a stunning pale veined grey limestone with a smooth, honed finish. 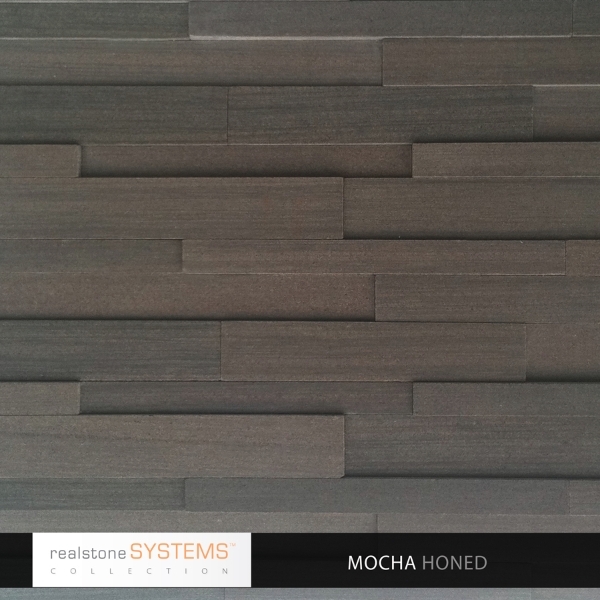 Mocha is a soft brown sandstone with a honed finish. 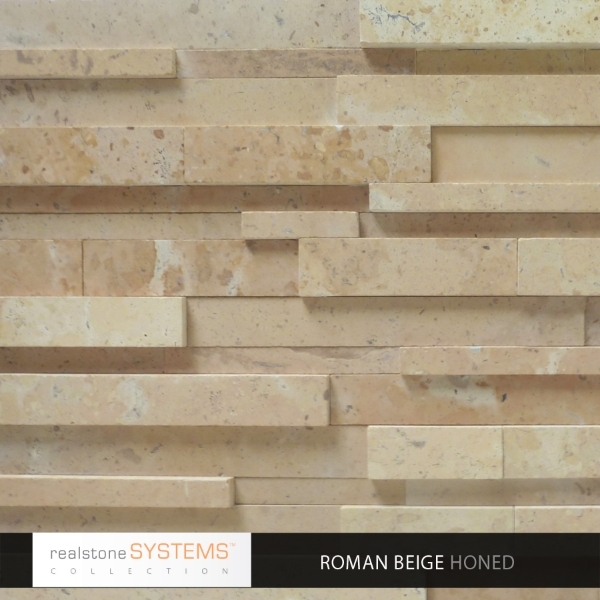 Roman Beige is a honed, golden toned limestone and Latte is available in a honed or ledgestone finish in creamy travertine.